Everybody loves Warsaw, right? It has a tonne of sightseeing, but we agree, maybe not all places are suited for a younger crowd. You can only expect the younglings to be quiet and respectful in churches, memorial sites and boring history museums for so long, and you can’t expect them to enjoy cellar bars or stylish clubs at all. There must be something else to do in this town, right? Yup! What we've learned during our time exploring the city is that not only is it quite an impressive place for anyone wishing to explore, it also has quite a lot of stuff for kids to see and enjoy, come rain or shine, you'll always keep them occupied! We’ve created this section to help you find exactly those things, and send your kids back to school bragging about what a great visit they had in Warsaw. Below we’ve listed local family-friendly destinations under the categories of Indoors and Outdoors, plus reliable recommendations for where to eat and drink where your kids will be treated as welcome customers, rather than ire-inducing annoyances. Some venues are described in more detail elsewhere, so follow the links. Of course the first step to having a great family vacation abroad is to accept that what you want to do, and what your kids want to do are hardly one and the same. That said, there’s no reason you can’t find some common ground in Warsaw’s major attractions. As for museums, the perfect choice is to go to the Copernicus Science Centre, which will not only keep the kids entertained with the games and interactive nature of the museum, but the adults with also have a whale of a time too. We mentioned history can be boring for kids, but the Warsaw Uprising Museum is super-modern and highly interactive, with even kid specific educational zones. A slightly 'different' suggestion is to go to the Invisible Exhibition, a completely immersive experience that teaches you how blind people live their daily lives by performing tasks whilst blindfolded! You'll be glad to know the city has a bunch of kid-friendly venues up its sleeve (where you'll no doubt have fun too)! If leisure is more your thing, then Multikino in Złote Tarasy shopping centre, Atlantic Cinema on ul. Chmielna, Cinema City Mokotów and Cinema City Arkadia are good options to see the latest kids' movies on a rainy day. 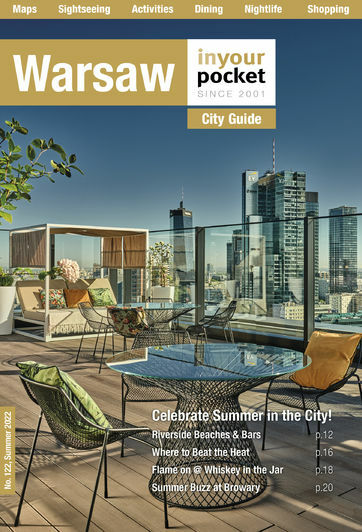 If more action packed indoor attractions interest you more, Warsaw also has Hangar 646 for trampolining madness, seasonal (Oct-Mar) ice-skating rinks, and a Spin City for 10-pin bowling. Hulakula Leisure Centre in the Praga district not only has bowling, but an indoor playground for the kids to run wild, and go-karting too!. Fun Park Digiloo in Mokotów is a kids' paradise with activity rooms ranging from indoor climbing to laser paintball! Right next door is the Water Park with slides and activities for the kids. There's also Aquapark Wesolandia for more swimming madness. For the sports obsessed children (and adults! ), two fantastic options are to take the kids to the PGE National Stadium and Legia Warsaw's stadium, both of which offer tours. For the more adventurous, how about a bit of flying around? No, really, there's an indoor Flyspot where you can fly around inside a wind tunnel. Absolute fun for all involved! Sometimes the best thing to do when there’s easy-tiring kids involved and you want to see as much as possible is to simply walk, or take a charming walk along ul. Nowy Świat to ul. Krakowskie Przedmieście and onward to the Old Town, where in the warmer months especially, the area very much has a family atmosphere, and street performers are out in force to provide entertainment. Other outdoor leisure activities could include a simple walk through Łazienki Park, with plenty of cute squirrels running around, peacocks and ducks too! For more animals, where else fits the bill better than Warsaw Zoo? The lengthy Vistulan Boulevards provide a great space for those wishing to walk, or even bike, skate or play in specially installed sand pits for the kids. For general cycling, we highly recommend using the Veturilo city bike hire service, with plenty of cycle lanes across Warsaw to ride safely. Each Friday/Saturday evening in summer you can also enjoy a show at the Multimedia Fountain near the Old Town. Regardless what you decide to do, you and the kids will have plenty of fun and have lots to brag about when you return home from your holiday. E. Wedel Chocolate Lounge "Old-Fashioned Shop"